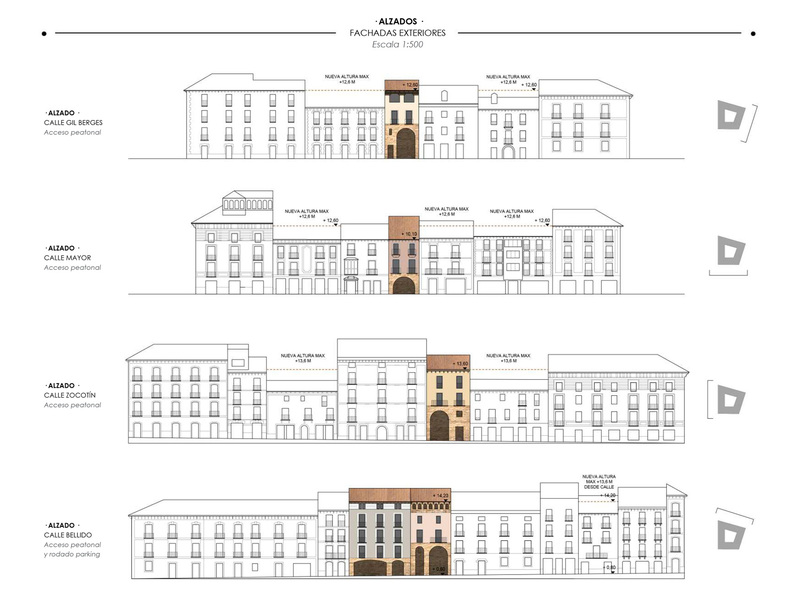 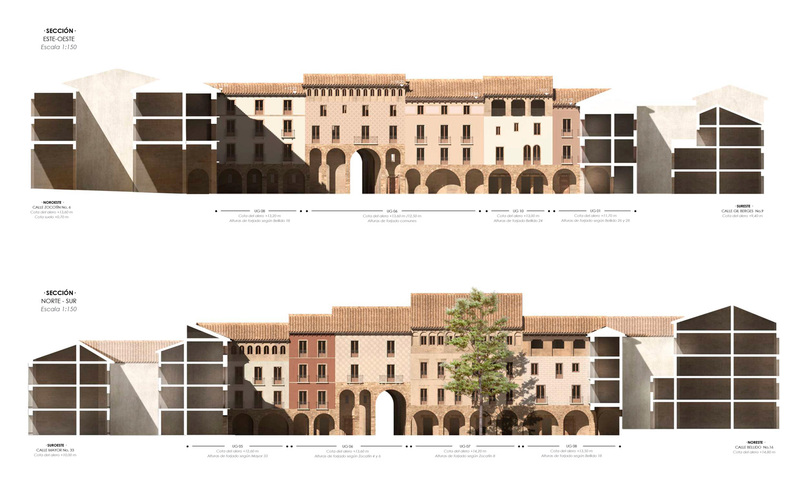 The project seeks to design one square, recovering two values that define the architectural tradition of Jaca: its density and continuity. 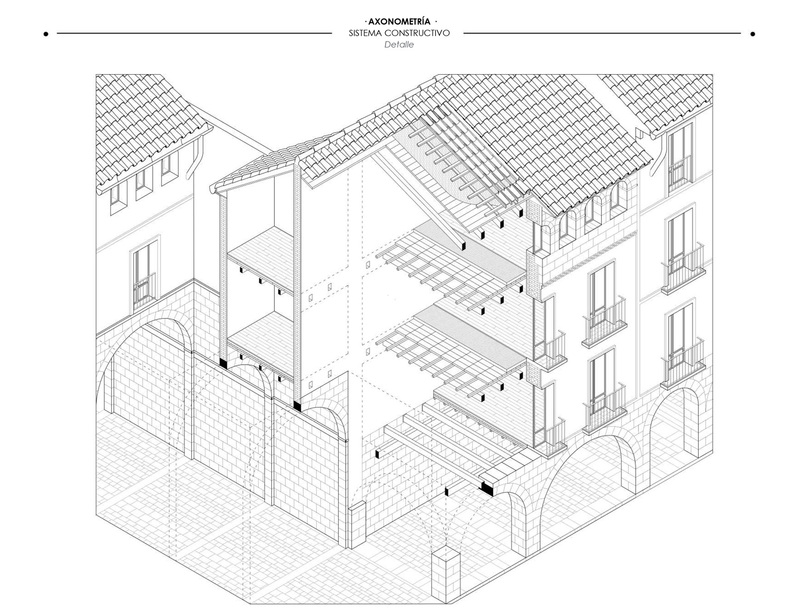 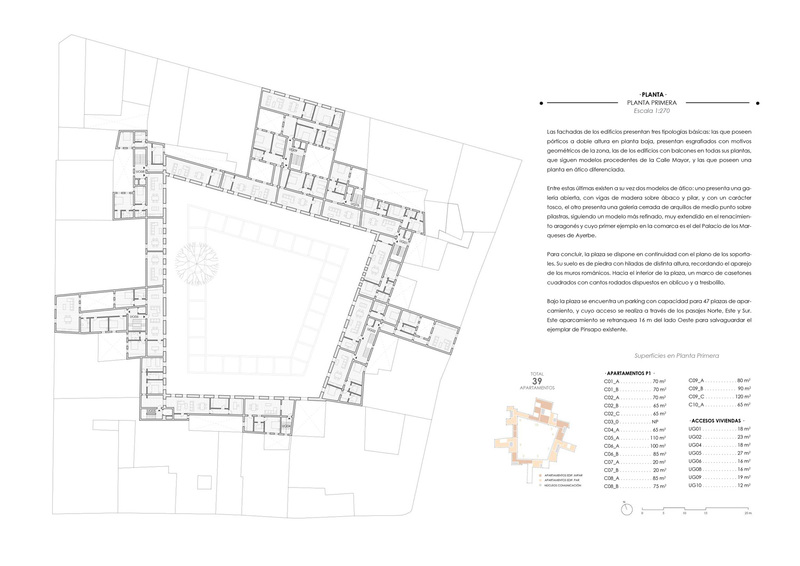 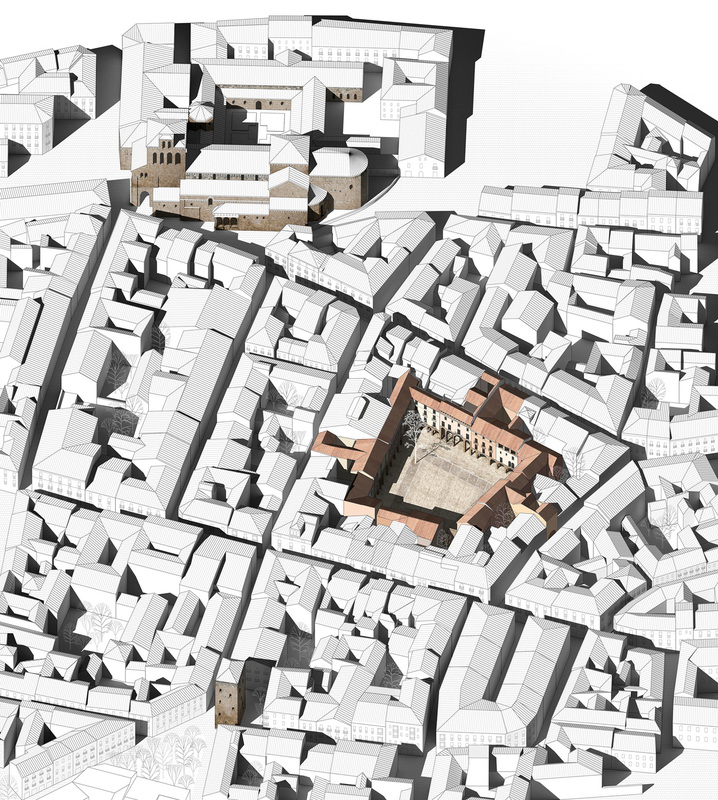 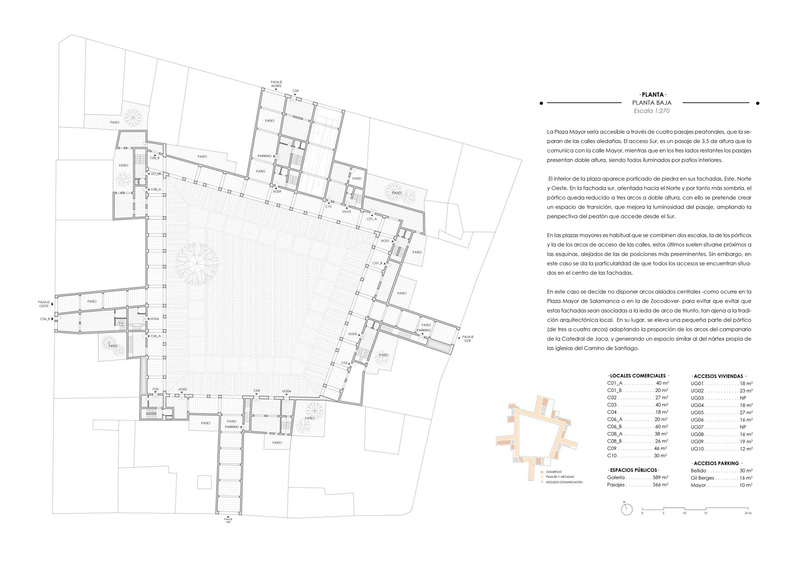 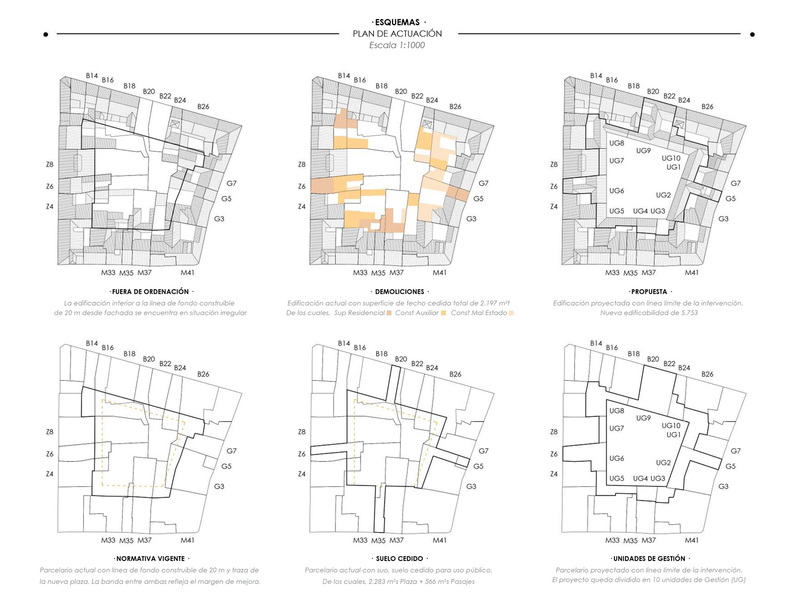 To rebuild the compactness of the city’s grid, the spatial possibilities of the new building have been studied in detail: the fragmentary nature of the plots has been respected, the existing backyards have been reconfigured, the light has been brought closer to the passages, and transparency games have been created between arcades, galleries and interior gardens. 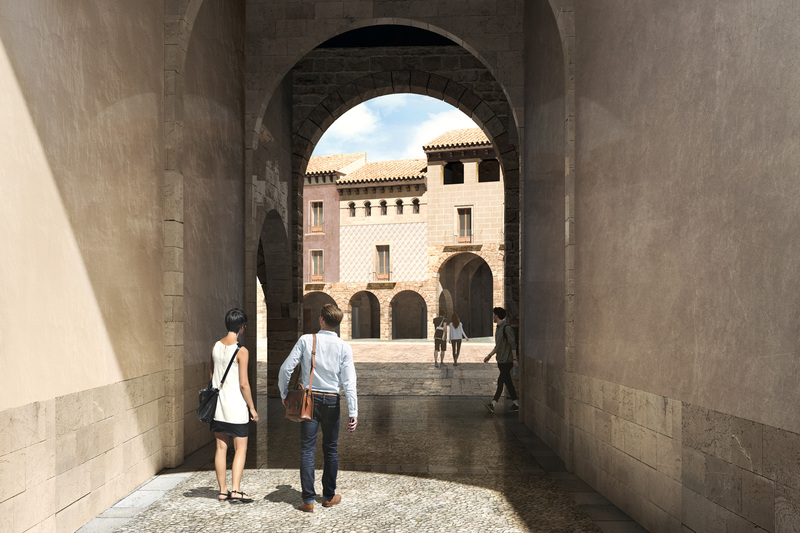 To achieve project’s integration within the exceptional location in which it is found, architectural models of the area have been recovered. 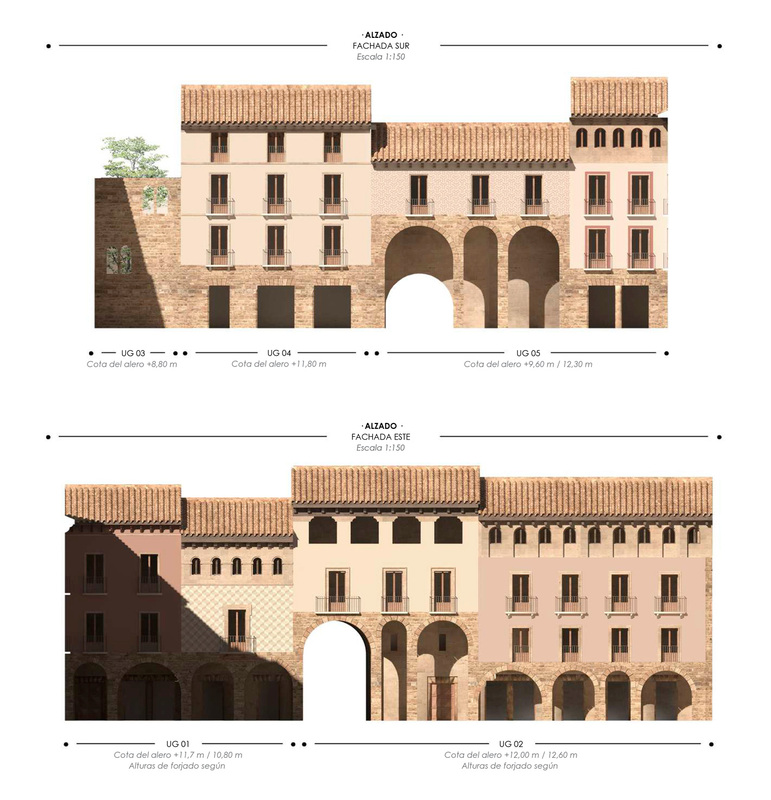 This have been done with the conviction that – far from any formal or symbolic desire – to give prominence to our architectural heritage is to give voice to a way of doing more wisely, adapted to the climatology and local materials, respectful with the environment and perfected over centuries. 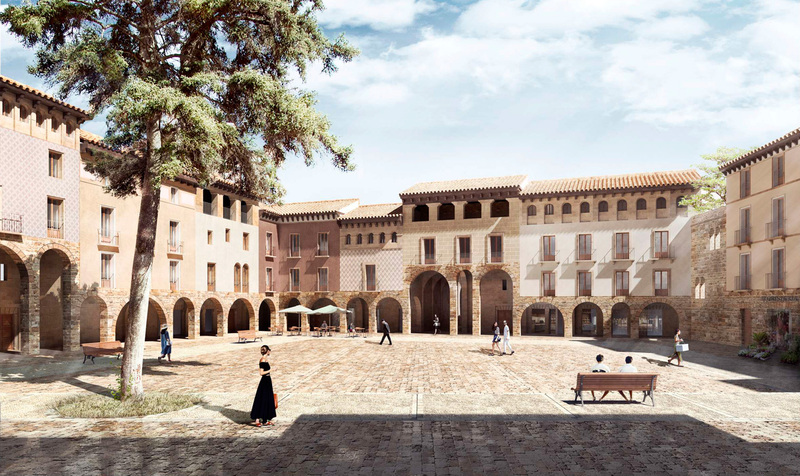 That voice is that of the traditional trades, which are the ones that give meaning to every detail of this project.